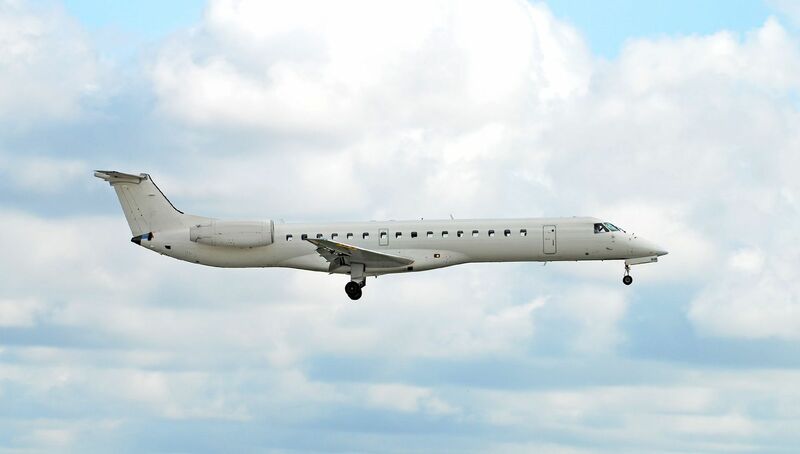 Continue your journey into aviation with Embraer EMB 135/145 Type Rating training. The EASA approved programme carried out according to the highest standards of aviation training is delivered by actively flying pilots possessing valuable know-how and ability to reveal all the job peculiarities. Thus, training at the Academy, counting over 20 years of experience in the field, will secure you with high-quality preparation for a successful future career. Therefore, a theoretical part completed at the headquarters in Vilnius and a practical part of training done at the location of BAA Training partners owning Embraer 135/145 FFSs will move you one step closer to your dream job. Theoretical Knowledge Instruction consists of 120 programmed academic training hours over a period of 16 training days. Flight Phase Instruction consists of 8 sessions (32 hours) and a skill test (4 hours), 36 hours in total, on the Embraer 134/145 FFS. Each FFS session is comprised of 4 hours of flight training for a crew of two pilots. A minimum period of eleven days is required and the training time is divided between Pilot Flying and Pilot Not Flying. The last session is a skill test. BAA Training has a pool of 18 instructors for ERJ 135/145 Type Rating all over the world.